Do you love gloss? The sheer effect on your lips? Then I have a good news for you. 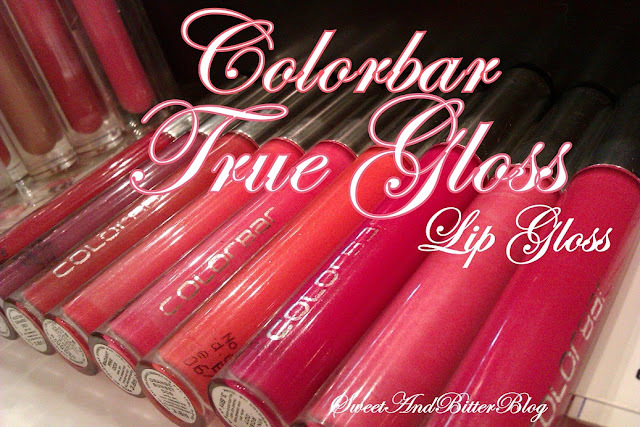 Colorbar has launched a new range of lip glosses - True Gloss. They feel and look much better than what they already have. They feel really nice on lips and has a long stay. I loved Vintage Rose and Orange Sunset but somehow resisted myself because lip gloss never worked for me. Price - They were for 400 INR each. Yes, they were taken for you guys only at my favorite store - Colorbar Saket. Yes, I am back to Kolkata. Yes, I visited the store. oh gurl!!!! these swatches looks sooo tempting!!! yummm!!! Oh my! I want them all!! Esp the bitten red! yes darling I won that. Already send her my address. Thanks dear. nice swatches..good to hav them all in one place.